The North FaceThe North Face proves to be a popular brand in Philadelphia, seen on everyone from students around college campuses to moms walking the streets. 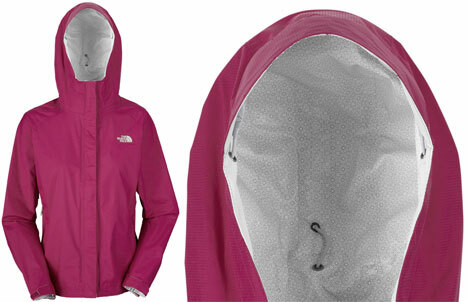 TNF’s Venture Jacket, which was first released in 2002, functioned as a no-frills rain jacket. For Spring/Summer 2011, the jacket has undergone a makeover worthy of awards. Castor oil, a vegetable oil obtained from the castor bean, has been added to the jacket’s HyVent DT EC waterproof/breathable membrane. This latest revamp has landed TNF an expected Backpacker Magazine Editors’ Choice Green Award, and the official announcement will be made in March. A media release from The North Face proposes that "this will eliminate more than 50,000 lbs of petroleum-based materials in 2011." That’s one eco-friendly jacket. The Venture Jackets with castor oil waterproofing will be available for both male and females, as well as in parka and two styles of overpants.